Along with our standard hinges, QCE Aluminum Fence also offers our best-selling Tru-Close Safety Gate Hinges. These special glass-fiber reinforced hinges never bind, sag, stain or get stuck thanks to their unique, spring loaded adjustor that lets you easily modify the tension using just a screwdriver. As always, our qualified customer service team works with you to ensure your gate matches the style of the fence you order, unless otherwise specified. Choose from single leaf walk gates, double leaf drive gates and sliding cantilever gates. You can even enhance the style of any option by ordering it as an arched gate for an extra touch of elegance. All single and double leaf gates are welded to add extra rigidity and strength before we powder coat them for a long lasting finish. 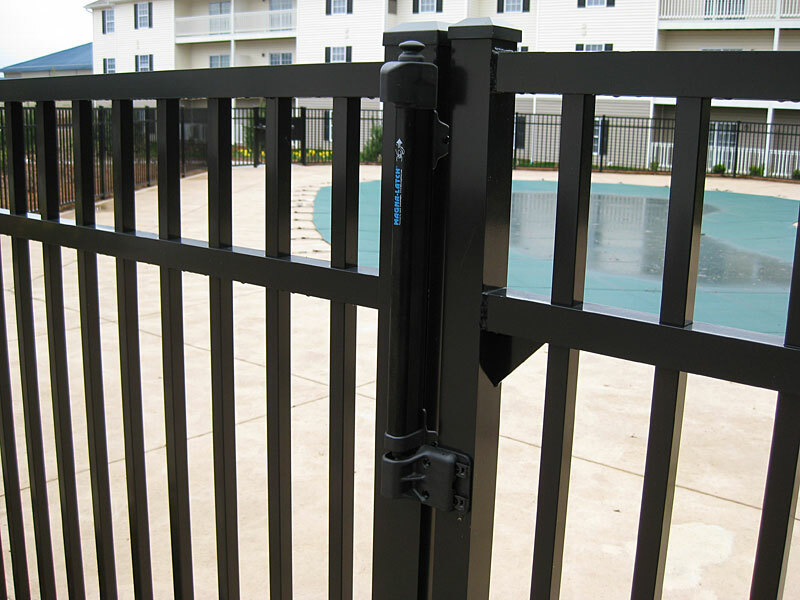 Don’t forget to secure your gate safely with QCE Aluminum Fence’s popular Magna-Latch, the world’s most trusted pool safety gate latch. This magnetic, self-latching pool safety gate latch comes with a lifetime warranty and is as easy to install as it is to maintain. Ready to add a sturdy, stylish gate to your fence?